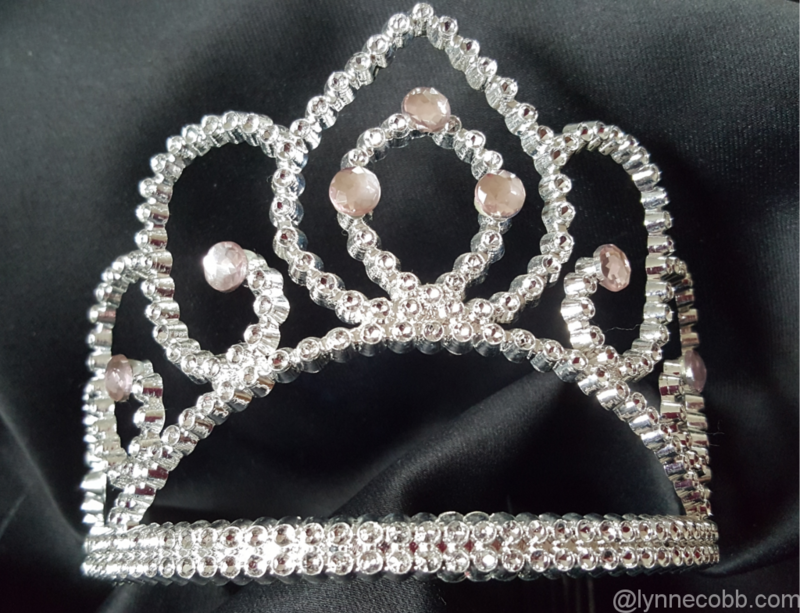 My tiara has nothing on Meghan’s. Getting up to watch the royal wedding of Harry and Meghan was easy, as I am an early riser. Plus, being an anglophile, I just had to watch. Of course, I totally forgive them both, as my invitation must have been lost in the mail. They know I am toasting them from this side of the Atlantic. All week long, watching the news was horrific. Another school shooting, a tragic accident with students on a field trip, a volcanic eruption and on and on and on. And, of course, the continued nasty comments that follow any story posted online – whether it is good news or bad. It was so refreshing to turn on the telly and watch the beautiful bride walk into the cathedral on a sunny day in England. Here on my side of the pond, it was chilly and rainy – about what one would expect for their side. But I was happy to take another day of rain so that Harry and Meghan’s wedding day and parade through Windsor was perfect. Even if people claim rain on your wedding day is “luck,” it still makes for a mess and a bad hair day. So, how cool is it that Meghan is now a military spouse, as am I? How cool is it that the couple met on a blind date? I mean, that’s how I met my soldier! Seriously, how could I not watch her big day? Meghan and I share a few bonds. Earlier this week, I felt bad for her, as the media and keyboard warriors kept the nonsense of family drama alive. Shame on them, but we all know that weddings and funerals can bring out the worst behavior in some people. Too bad the curmudgeons didn’t see the wedding sermon that was going to be preached. The Archbishop emphasized love and its power over and over. The love of God, the love of humans, and how love changes all. Sure, the wedding was fun to watch – the clothing, the fascinators, the pageantry, the rich history and tradition. But what captured my attention most – other than the sermon – was seeing love in action. The way Harry and Meghan looked at each other, and the smiles and glances that they shared between themselves. And Prince Charles redeemed himself in my eyes today. He exuded grace and love to Meghan’s mom. I watched how he gently guided her to sign the registry, and how she was included with his family. Can you imagine how Doria felt, as she watched her baby girl make history? And how relieved she must have been to feel included and guided in the tradition of a royal wedding? The combination of rich, royal heritage with American pastors and music showed love and respect between two countries and families. The footage of people from around the world lining the streets of Windsor was heartwarming. Yes, I’m sure there will be naysayers and critics and ugly things said about this day. Things like a royal wedding is a waste of money; that this marriage won’t work; and that more stories of family drama will be dredged up and plastered across headlines. But you know what? They can think negative all they want. Because for a few precious hours, royal wedding watchers were witnessing love. They were feeling love. They were seeing love. If only for a brief moment – a blip on the radar of life – there were millions of people seeing the power in love. Later today, there will be bad news on the telly. There will be gossip. There will be bullying. There will be crime. There will be nastiness and road rage and rudeness. There will be storms and volcanoes and earthquakes. But at least I, along millions of others, started the day with love. I started my day looking at a couple who have defied odds. A couple who know they will be under a microscope for the rest of their lives. And yet, because of them, I started my day with a couple who chose a pastor who emphasized love. Who reminded us that we are God’s children. We are family. A pastor who talked repeatedly about the power in love. Imagine if we started our days – everyday – with the power of love, and not hate? Wow – what a world that would be. So, cheers, Harry and Meghan. God bless you both as you begin your life as husband and wife. Thank you for sharing your beautiful day with the world. May you reflect upon the words you heard today to strengthen you when they days are tough. May you reflect upon those words to make a difference to those you love. May you reflect upon those words and use them to make a difference for those you don’t know. And may the rest of the world also reflect upon those words and come to know and feel the power in love. Did you get up early to watch the Royal Wedding? Did you hear the sermon? Share your sentiments in the comment section. And if you like this post, feel free to share using the social media links available below. Such inspiration. All we need is love! Yes, I got up early, and yes, I was so uplifted by that sermon – it was the best thing that could have happened after another horrible day in our country, with the two school shootings in one day. Later that day, I spent time with two of my husband’s out of town relatives visiting my ailing mother in law. One is a psychologist and she told me that, in her view, there is such a lack of love in our lives. All of us talked and talked about the wedding. There does seem to be a lack of live. Rev. Curry’s message was timely and needed! Awesome Lynne. As you know I was an early riser and watched and loved every minute. The Wedding Address was what we needed to hear. I love how they look at each other. You can tell that they are friends as well and that is so important. I agree there is so much bad news a little happy goes a long way. I agree, Rena. It was so nice to feel so good after watching their wedding. Very sweet post, Lynne, and one that reflects what so many of us felt while watching this beautiful wedding all weekend. Lately I’ve been wondering if our own country is going to Hell in a handbasket, as my late father would have said. The negativity/divisive behavior– everywhere — has gotten so bad this year that each time I consider getting back on Facebook or Twitter, I decide against it in order to maintain inner peace. This wedding, amazingly, seemed to uplift us all, reminding us that there’s still love, grace, and dignity left in the world. It was like something out of the pages of Victoria magazine, and it put my head and heart in a better place — at least for a couple of blissful days. I felt so encouraged after watching their wedding. But you were wise to stay off of social media, because the trolls were being so ugly. The nastiness is beyond ridiculous. I’m beginning to wonder if manners are a thing of the past.